I got back late last night from a trip yesterday (Friday, March 4th) to the Eastern Region Meeting of the Evangelical Theological Society at Philadelphia Biblical University. Lydia and Sam went with me. The conference theme was “What’s so truthful about Christianity?” and the keynote speaker was Dinesh D’Souza, President of The Kings College in New York. There were 25 papers presented in the parallel sessions (see the program here), including one I did titled “‘Eyewitnesses of His Majesty’: Peter’s Argument for the Truth of Christ’s Second Coming in 2 Peter 1:16-18.” You can read the paper here. D’Souza is perhaps best known these days for his comments about President Barak Obama's “anti-colonialism” (see his book, The Roots of Obama’s Rage [Regnery, 2010] and this article in the Washington Post). His address at the ETS meeting, however, was on “The Case for Life After Death.” He argued that modern science has not disputed but rather given reasonable support for the Christian view of life after death. The talk was based on his book Life After Death: The Evidence (Regnery, 2009) [when I looked at a copy at the meeting I noticed the forward was written by Rick Warren]. It was a classical evidentialist apologetic talk, complete with quotes from C. S. Lewis. Interesting was D’Souza’s apparent acceptance of evolution. Something did not seem quite right. I was not very familiar with D’Souza but assumed that he was an evangelical given his leadership of an evangelical school and his invitation to speak at an ETS meeting. When I got home I did a little internet research to find out more about him. 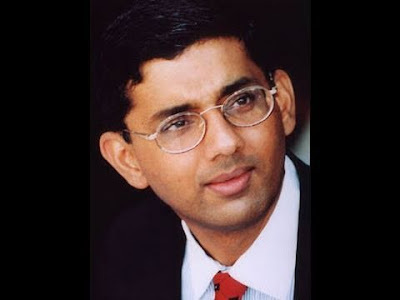 I found that D’Souza has a Roman Catholic background but is married to an evangelical and has attended Calvary Chapel churches. I had missed the discussion that took place last August after he was appointed President at The King’s College over where exactly he stands confessionally (see the articles, "Dinesh D'Souza to Lead NYC's King College" in Christianity Today and "Is D'Souza a Catholic?" in First Things). Though I resonate with many of his conservative political views I am troubled by his apparent lack of confessional clarity. I dropped my membership in ETS two years ago but decided to renew it this year. Though this year’s Eastern Region meeting was well run by Dr. Tim Yoder of PBU (much better than the last one I attended), I think this is probably my last year in ETS.